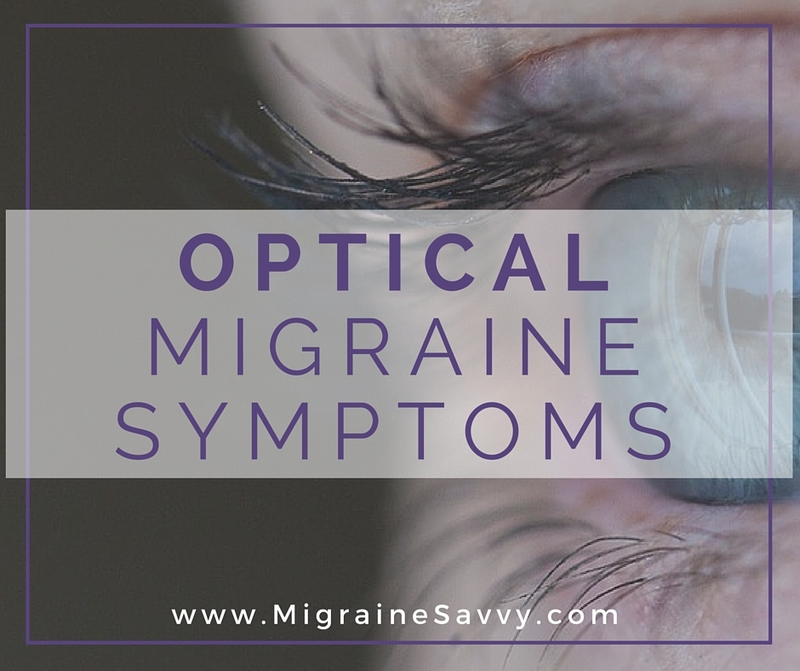 Optical migraine symptoms typically include temporary blindness or vision loss in just one eye and may not accompany a full blown migraine attack. When temporary abnormalities occur in your field of vision, it might be an optical migraine. The way to tell that it's an optical migraine and not migraine aura is that it's in one eye, and aura's normally occur in both eyes. One easy way to test it is to cover one eye. Click here to see what migraine aura symptoms are. The other thing is that it does not typically occur with a migraine headache. It does not reach the pain phase. But it can come before a regular migraine but it does not always and you can still have optical migraine symptoms. Optical migraines are considered rare, but they still affect one out of every 200 people who suffer from migraines. The statistics are staggering with the numbers reaching one billion sufferers. Make sure to see your doctor to get the right diagnosis and to rule out other conditions that cause similar symptoms. You asked... I answered! 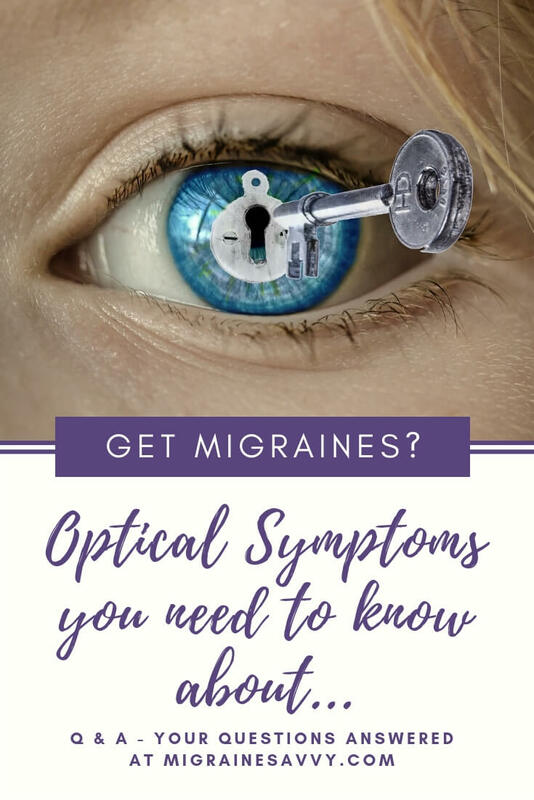 I've picked a few of the more common questions I've been asked about optical migraines and the associated symptoms. I hope it clarifies things for you. Is there cause to worry if you are having an optical migraine? No, there is no cause for excessive worry, but the visual disturbances can frighten you initially. They can cause retinal damage so I recommend getting your eyes checked as well as seeing your doctor. So, as soon as you notice something out of the ordinary go see your family physician so s/he can diagnose it all properly. What is the cause of the optical migraines? It is believed that the cause is the constriction of the blood vessels. This reduces the blood flow to the eye and can be caused by some foods, just like the triggers for a normal migraine attack. What are some of the foods that are believed to bring on an optical migraine? Some of the foods include: chocolate, shellfish, and nuts. With some people, caffeine and alcohol can trigger the migraine. Are there other causes or triggers that cause the optical migraines? It is felt that fatigue, stress, a woman's menstrual cycle, and even eye strain can also be possible causes. Are there warning signs that present themselves before an optical migraine? The first sign that an optical migraine is starting is the presence of one or more blind spots. These spots usually start in your central vision and get larger. What are the flashes of lights? This is often called scintillations. It typically occurs shortly after the blind spots starts. Flashes of lights, which are often multicolored, can be seen in the vision. This symptom may be caused by a retinal detachment and can indicate a serious medical emergency. What are the zig-zag patterns? During an optical migraine, vision can present itself with a zig-zag pattern. This symptom can look like you are looking through a window that has been cracked or a wavy window. 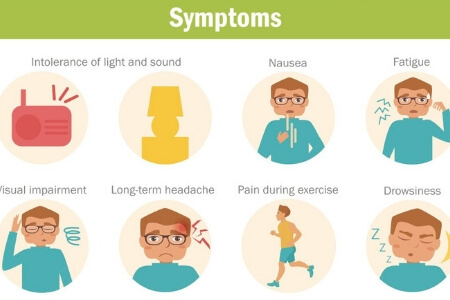 Are there other symptoms with optical migraines? 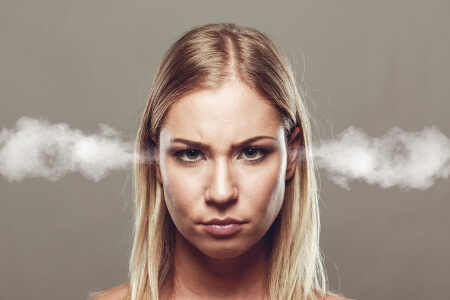 Different people may present in different ways, but some have complained of seeing stars and spots, while others complain of nausea and vomiting. How long does an optical migraine last? Typically the vision loss lasts under five minutes, but has been known to last up to an hour. After the optical migraine is over, the visual disturbances disappear and the sight returns to normal. What is the treatment for an optical migraine? Actually, there is no treatment for this type of migraine symptom. If you are one of the people that have a migraine headache after the optical migraine, taking medication at this time would be a good idea. 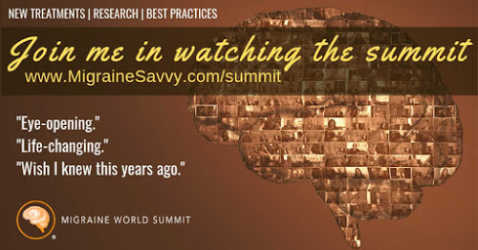 Having optical migraines disrupts daily activities such as reading, driving or watching television. Although there is no known treatment for these migraines, you should have your eyes examined. An optical migraine does have the potential to cause retinal damage and your eye health is very important. Be wise and get your eyes checked. Rest your eyes whenever you can. Experiment with ice or heat on your eyes. 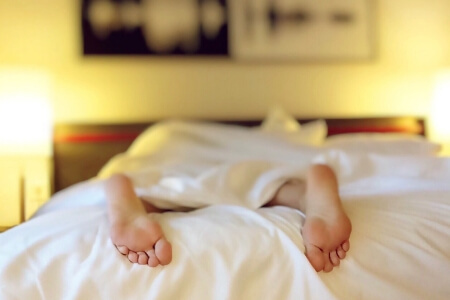 See which one works best to relieve the pressure. Be proactive - wear polarized sunglasses or try out Theraspecs FL41 tinted lenses. Use a glare screen on your computer. Check out this headache music, I find it helps me to relax too. 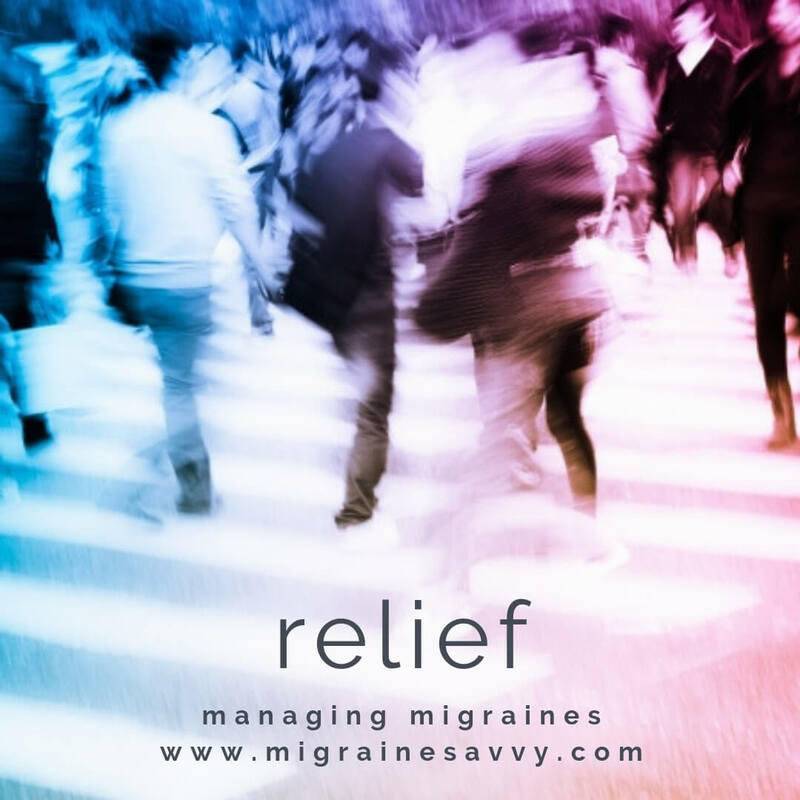 It might take a bit of time to find what relieves your optical migraine symptoms.